The good old fashioned mint can really only be grown from cuttings or division. If you cannot secure a plant of this vegetatively propagated variety, then this variety (Mint Common Spearmint), grown from seed, is your next best option. Mint likes a moist & cool root system. Very easy to grow. 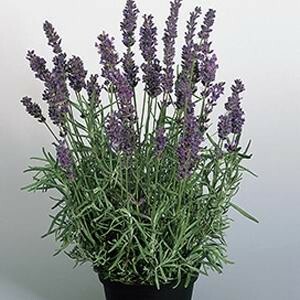 Castilliano is a Spanish Lavender - the first Spanish Lavender series from seed. 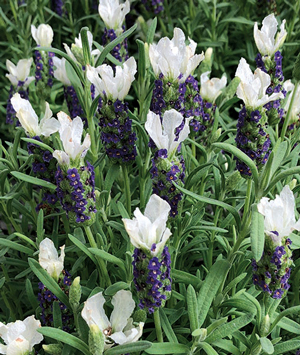 Lavender is a garden classic and Castilliano takes it to the next level with its two distinct colours; wee purple flowers with a white "flag" on the top. Its notable for medium vigour habits also and its lovely mounded plant habit will make a stunning display in any garden or pot. Chemically Treated. 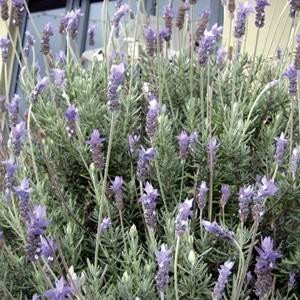 Smothered in light purple flowers and green foliage, this super vigorous Lavender Dentata makes a great hedge option. Excellent for attracting bees and butterflies. 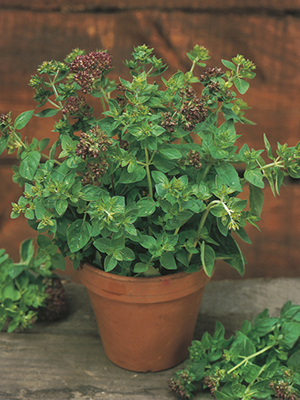 Subtle blue-green colouring and sweetly fragranced, Hidcote is also one of the most versatile Herbs in the world. Rich in lavender oils Hidcote provides greater fragrance power, is suitable for creams and perfumes potpourris and sachets. If you’re really adventurous it can be used in candies and cakes! (a process called Lavender Crystallization). Hidcote also has a superior erect, compact habit with darker flowers compared to standard lavender - perfect for hedges. TThe most intense spike and flower colour of all seed Lavenders on a uniform, compact plant. Plants are naturally bushy. Flowers first year from seed. Peppermint came to the fore with the colonists, who used it medicinally. They drank mint tea for headaches, heartburn, indigestion, gas, and to help them sleep. They also drank mint tea for pure pleasure. 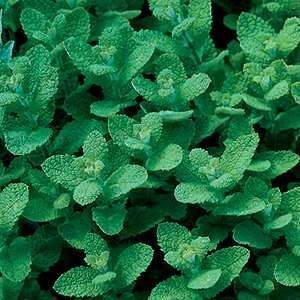 A nice alternative to Mint Spearmint. Mainly used dry, Oregano has a spicy flavour, strong to stand up to bold Italian dishes tomato sauces pizzas and fish dishes. Bushy small leaved plants featuring lilac-purple flowers. A shorter more compact plant than "Plain Parsley". 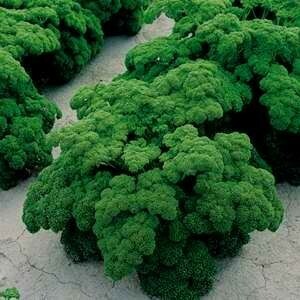 With its tightly curled leaves and strong stems this parsley is rich deep green in colour and is a fabulous herb. Far superior to Triple curled or Moss curled.